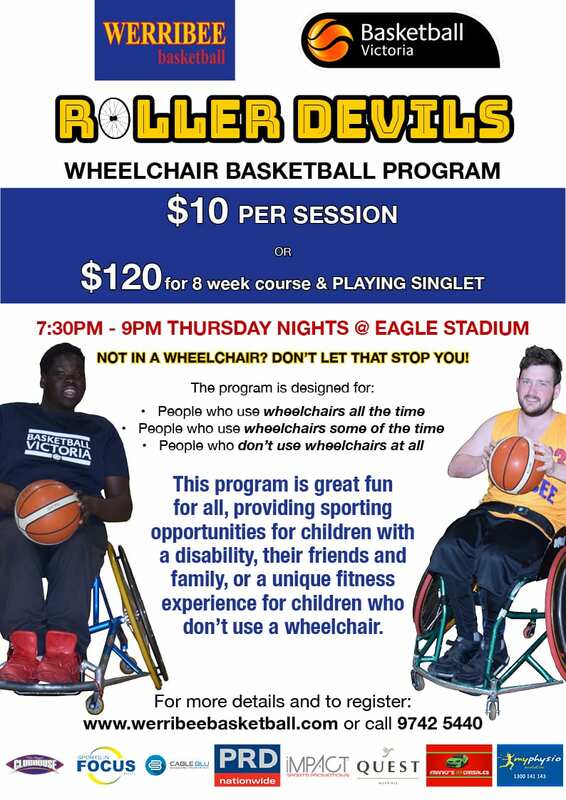 Werribee Roller Devils is our Wheelchair Basketball program. Each weekly session includes professional coaching and game play. $120 includes 8 week course and Werribee playing singlet. Split 2 x $60 payment available. $80 for 8 week course. If you are returning BUT want a new singlet, you can register as a new participant.